for the Automation of the London Branches. Just what DID go on in the basement? Having looked around our online museum, and seen the faces of many of Martins Bank’s branch staff, you may well have formed an image in your head of the typical Banker of the 1960s – A receding hairline perhaps? Spectacles? Bowler hat and rolled umbrella? It may come as something of a surprise to learn that many of the Programmers and Systems Designers at Martins looked much more like hippies than bank workers. “I started off as a Junior at Paignton branch in 1963, moved to help open Swindon branch in 1964, and then moved back to Torbay (sub to Torquay Branch). 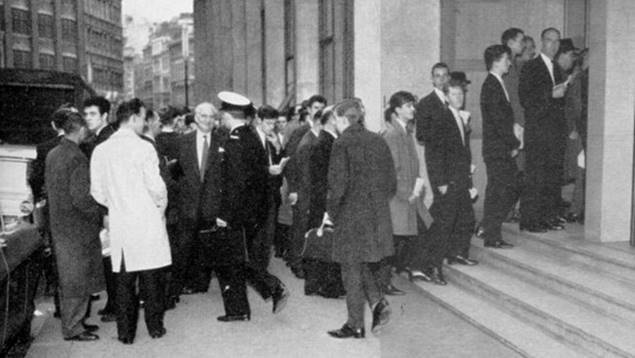 In 1966, I was trained as a Computer Programmer and was transferred to the Automation Department in Clements House, 14-18 Gresham Street, London. Although the Computer Centre was at Bucklersbury House, the Automation Department, housing the Systems Designers and Programmers, was in the basement of Clements House, headed up by Dennis Pearce and his deputy Peter Cave. There were about 20 staff plus staff from NCR and a an outside Computer Consultancy. My impression was of a real 'us and them' relationship between the Automation Department and Computer Centre in Bucklersbury House. Programmers were generally not allowed in the computer room, even for testing! I can remember having to beg, borrow or steal maybe the odd 15 minutes to test my programs - and operating the computer was an absolute NO NO! But maybe that was how it was back in those early days of computing. There was a resident engineer who would service the machine most mornings prior to use. Their party piece was to play music using a transistor radio that sat on the Central processor cabinet. When running a program the CPU would emanate a varying magnetic field/radio wave that could be picked on a nearby radio. A program loop would give out a fixed monotone (long beep) - the pitch of the beep could be changed by altering the length of the loop, and so tunes could be created! This was, of course, prior to speakers being attached to computers! 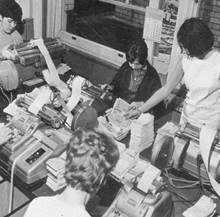 I believe Martins was the first bank to automate its branch accounting - the pilot branch was in South Audley Street and it quickly was used by around 36 branches in the London area. “I also worked on a system to transmit transaction data to and from Liverpool using Data Transmission lines - cutting edge technology then. 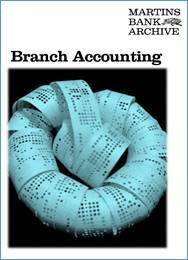 The Branch Accounting System was developed in 1966/67. Another program of interest was a fun project for the programmers in the department, designed to print out a graphic of the Martins Bank Shield! There were of course no pixels then, it had to be made up with characters from the keyboard, but it was well thought out. 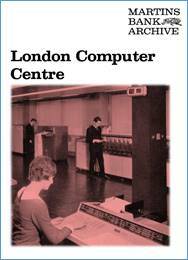 The London Computer Centre Branch Accounting Control Instructions (about fifty or more pages long) gave the official procedures for running the Branch Accounting System. “Amongst the instructions there were details of Account Number Allocation to the branches in London. After months of training and hard work writing the computer programs, it is almost time to unleash the power of computerised banking! A document entitled “Configuration and Target Dates” is circulated to all computer staff, and it provides full details of the computer equipment that will be used to handle the cheque and credit clearings, and the daily processing of work – Branch Accounting. We must of course remember, that the combined memory power of these cutting edge 1960s devices would be hard pressed to support even a digital watch today! 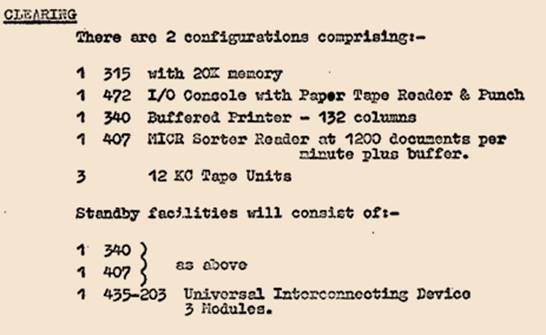 However, as original computing power was reserved for calculation, not colourful display, it was possible to process large amounts of data within a reasonable amount of time. 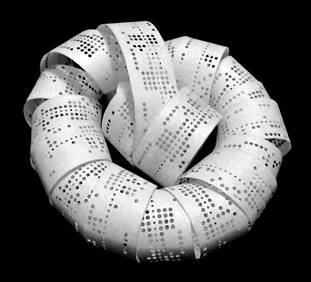 Life, like truth, is often stranger than fiction: We are once more indebted to Clive Frost for turning up a reel of punched paper tape amongst his belongings and sending it to us. It was part of the 1967 final test run for part of Martins Bank’s Branch Accounting Computer Program. Having found ourselves in possession of such a significant piece of computer history, we thought what should we do with it – send it down to Bletchley Park, home of the National Museum of Computing, and those nice codebreakers? Well, yes that’s exactly what we did. Bletchley Park ran the tape through a reader, extracted the data, and with the help of a coding chart that Clive had donated to us some years ago, the data was listed for us in several forms by the National Museum of Computing’s Tony Frazer. A series of test entries to fictitious bank accounts was thus revealed. 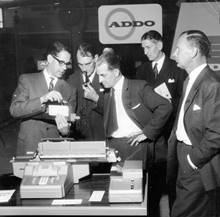 When Martins began to roll out computerisation across London, customer data was collected in Branch using Addo X machines coupled to tape punching equipment. 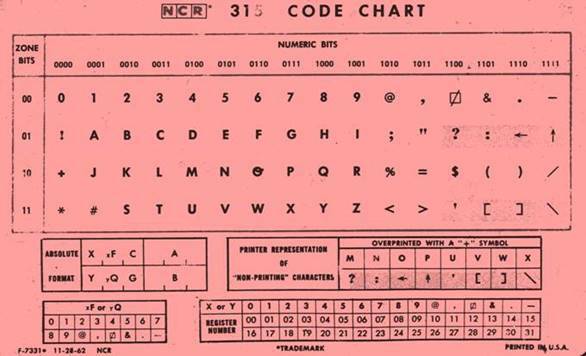 The tapes were sent at the end of each working day to the Bank’s Computer Centre at Bucklersbury House in Walbrook where they were read and processed into what were then powerful computers, the NCR model 315. The data extracted gave a digital record of transactions and other customer records, as the basis for the production of bank statements, and the recording of statistics which would lead to the computerised decision making we take for granted in today’s banking world. Martins’ method of collecting input from its London Branches in this way is the “missing link” between the early efforts of Banks to process everything direct to a single remote computer, and the delineation of data by computer terminals within branches themselves. 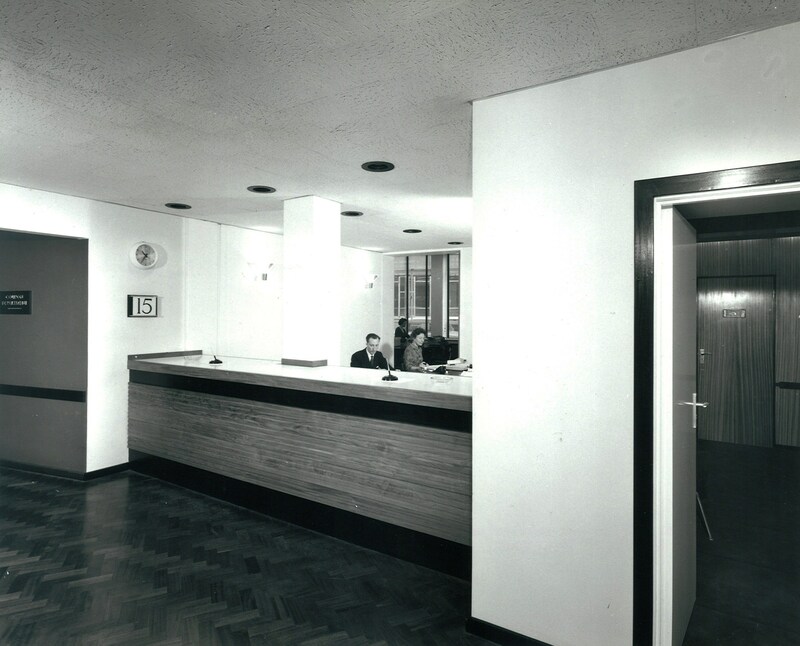 The next stage for Martins was to have been the transmission of data by telephone line direct from Branch equipment to a central computer, and the building that became Barclays’ Wythenshawe Computer Centre in 1971 was originally commissioned and planned by Martins as the home of its Branch Networked Computer Systems. Experiments were carried out in 1968 to transmit work between London and Liverpool. 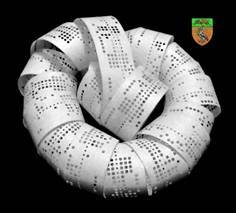 Martins Bank’s Branch Accounting was a sophisticated program even for its own time, as it enabled the collection of a large variety of accounting statistics alongside the daily recording of actual transactions. Significant chunks of this original program remained within Barclays’ own program – also known as Branch Accounting – well into the early years of the twenty-first Century. Nowadays, we now know the full extent of the power of these early forays into the computerisation of branch banking – that is the END of branch banking, and what some will come to see as the “liberation” of the customer, free to bank whenever and wherever he or she pleases, so long as it is not in a branch! 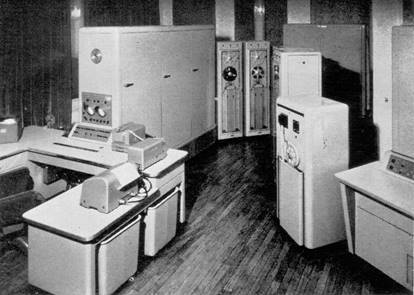 Back in 1966 computerisation was NOT however simply a “brave new world” scenario that overtook all reason. People were naturally suspicious, especially of a technology that even then was seen as end to jobs. In fact, until the early 1970s, the number of staff required to develop or use bank computer systems increased dramatically, and on our feature page “COMPUTER FRIEND OR FOE” you can read an article written for the staff of Martins Bank, in which Mr C A Brockbank, Superintentdent of Administration at Head Office tries hard to allay their fears. Using the records we have, the tape decoded by Bletchley Park, and of course the memories of Clive Frost, we have pieced together a basic outline of how the voucher processing side of Branch Accounting was designed to work. The customers of Martins’ London Branches have their cheques and other vouchers encoded with their account details. Under “live” conditions, the vouchers will be listed by staff at each of the participating Branches, on special “ADDO-X” machines. These produce an output of data on punched paper tape. 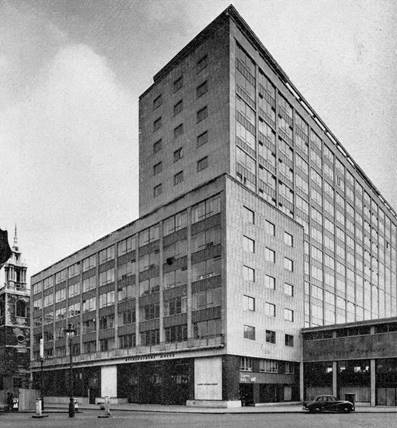 Tapes will be sent at close of business to the London Computer Centre at Bucklersbury House, Walbrook. This is the actual output tape used during the pilot live running of branch accounting on 21 March 1967. The numbers are crunched by the computers at Martins Bank’s London Computer Centre. Finally, we have analysed the information obtained from the tape for us by Bletchley Park, and it has been presented below as transactions applied to the dummy accounts by the London Automation Staff. This type of printed output, and the vouchers themselves are known in the world of banking by the rather confusing title “Waste”. Account numbers have to be issued to customers in such a way as to make them unique to that customer, and to the branch at which they bank. This is discussed in detail in our separate feature NUMBERS NUMBERS NUMBERS. When Martins began issuing account numbers at the start of the 1960s, each number consisted of SEVEN digits. By the time of the merger with Barclays, Martins had standardised their account numbers to EIGHT digits, the same as Barclays and most other banks. Only Lloyds Bank retained the use of seven digit account numbers, and kept them until the late 1990s after the merger with TSB. Had Martins’merger with Barclays not taken place who knows what the boffins at London automation would have come up with to ensure that in the computer age, the Bank was still able to “go to extremes to be helpful”! AND CLIVE FROST FOR THEIR INVALUABLE HELP WITH THIS FEATURE.